High Density Cleaner has advantages of small occuption,large capacity,convenient operation ,nonblocking discharge and high pulping efficiency,pulp can transit slagging machine once,and needn’t tail rotor processing equipment,fiber loss is almost zero,cone works with wear,pressure and long service life. The High Density Cleaner needn’t special maintenance,just ensuring that valves operate flexibly and don’t leak,pressure is stable and normal,then the effect of slagging can be guaranteed. 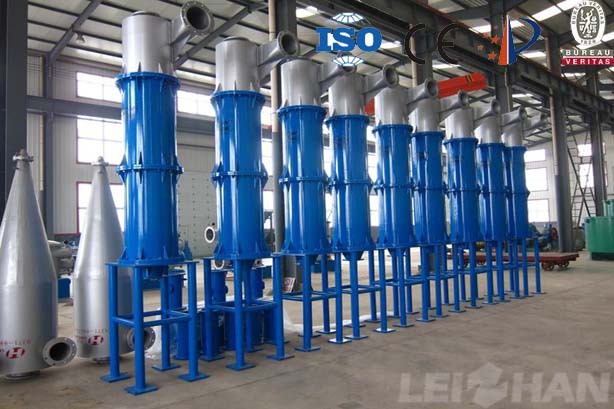 If you want to know more about the High Density Cleaner or other pulp and paper machine, you can contact with us anytime.